The Biomaterials Laboratory, part of INCOR’s Division of Bioengineering, underwent extensive renovations in 2012 to meet the requirements of the Brazilian Cleanroom Standard (ABNT NBR ISO 14644). The laboratory houses the production of artificial ventricles, Ventricular Assist Devices (VADs), used in patients with severe heart problems awaiting heart transplants. The result of the remodelling was a cleanroom area comprising 45 square metres with ISO 7 classification. The manufacturing of a VAD requires critical and exact processes, which are now conducted in a controlled environment in the Biomaterials Laboratory. The finished devices come into direct contact with a patient’s blood and could pose a risk of contamination. 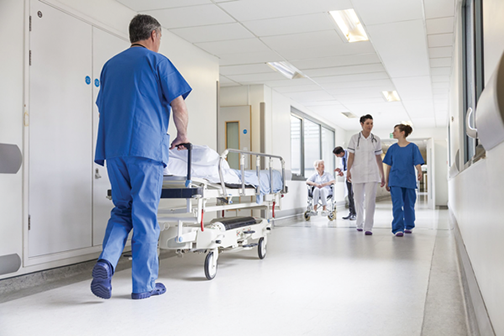 Mitigating the risk of infection during the VAD’s manufacturing process is essential. The Biomaterials Laboratory is located underground, below INCOR, creating some unique challenges. Based on the characteristics and location of the laboratory, the installation of the air handling system demanded a solution tailored specifically to the space limitations. Along with the limited space available for the power supply (about 5.30 metres square), the handling and installation of the equipment and components were only a few of the challenges faced for this project. The design and installation of custom HEPA filters in the cleanroom also posed some unique challenges. The space was condensed, so there was a need for filters with lower pressure drop to allow the use of fewer filters. It was necessary to design a set of special terminal boxes, able to meet the required flow rates, using filters with reduced thickness and low pressure loss. In the machine room, AAF International recommended the VariCel® VXL filter, a 12-inch deep filter constructed of ultra-fine, dual density microfibre glass media. The VariCel VXL filter delivers the desired air quality when used in systems with difficult operating conditions or high velocity systems, and is designed for easy installation, along with high performance. Since the air handling units (AHUs) were reduced in size to accommodate the space available, AAF International recommended the MEGAcel® II HEPA filter in combination with the VariCel VXL filter. Traditional HEPA filters provide a much higher airflow resistance. 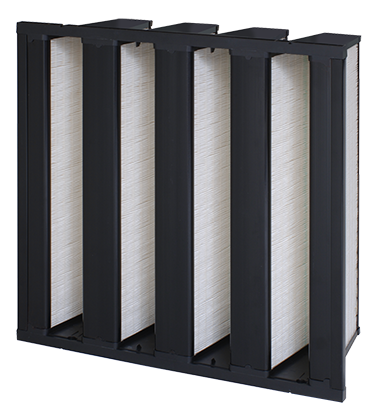 MEGAcel II filters incorporate AAF International's unique ePTFE Filtration Technology media, combining ultra-high efficiency with extremely low pressure drop.